Whether you call it boondocking, Wild Camping, Dispersed Camping, or Parking Lot Surfing, it all means the same thing. Free camping or RV’ing while off the grid. It is not, and I repeat, it is not to be confused with those Irish Vigilantes from the Boondock Saints movies who went a little nuts trying to save their favorite bar. No in fact the only Saints related to boondocking are Saint Jude, the Patron Saint of Travelers and Saint Jude, the Patron Saint of lost causes, and I assure you that they would not want you losing your hard earned money by paying for the right to set up camp or park your RV when there are free sites with great views ready for you to get your wilderness on at the low cost of free. In fact, I would say that old Saint Jude would think that paying good money to enjoy the wilderness with your family or friends would qualify as a lost cause! So let’s break down the ins and outs of the Wild Camping rewards card that you were given at the same time that you decided to hit the road, take to the wilderness, set off on an adventure without a destination other than the journey itself and become the savvy explorer that you were destined to be. After all Lewis and Clark, Stanley and Livingston, and all the others that came before you knew one thing, the beauty of wild lands and the thrill of exploration are rights given to all people and should be enjoyed without cost, save perhaps for the payment of leaving these waypoints on your adventure in the same condition as you found them. Okay enough of my preaching, let’s get down to the fine points so that you can get off of the computer and out into the wilderness. Researching is indeed important but actually doing it is a heck of a lot more fun. So to make things as user-friendly and easy to remember as possible I’m going to break down what you need to know into a few sections like “How can we find great boondocking sites?”, “How do we avoid ending up in a small town Sheriff’s office?”, and “Does off the grid mean we need to buy nose plugs and wet wipes?”. 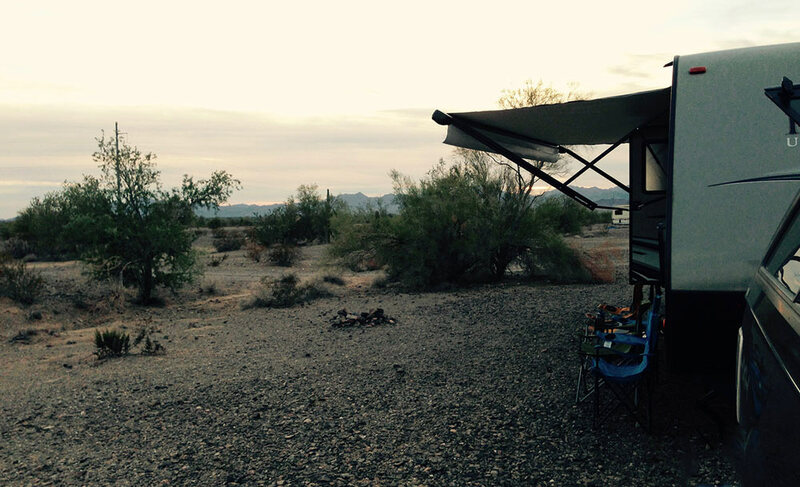 Probably the most important aspect of boondocking is finding the perfect free and off the grid wild camping site to enjoy the inspiration that being one with nature will bring you and your companions. Luckily for you, this is the information age, where what once would have taken pouring over maps and charts, getting to know government bureaucrats and schmoozing locals, now only takes a few clicks of the mouse. First off consider your reality! If you are camping with just a tent, you undoubtedly have more options than with a recreational vehicle. But don’t let that stop you, many of the absolute best boondocking sites are perfect for RV’s, you just need to keep in mind the size of your recreational vehicle and the limits that come with it. In some cases, this means asking the proper people if your vehicle can be accommodated, where the best spots for an RV like yours are, and what to watch out for. In most instances the best places to look are through the Bureau of Land Management(BLM), the United States Forest Service(USFS), which offers free travel management maps that tell you which areas are open for dispersed camping, known as Motor Vehicle Use Maps or MVUM, The United States Department of Agriculture(USDA), and many other Nationally administered Parks, Forests, and Grasslands. As a general rule most BLM lands and USFS lands allow you to stay for 14 days in a row before moving on to a new location that has to be at least 25 miles away. The BLM also has Long Term Visitor Areas, which for a small fee will allow you to stay longer. Other entities that allow boondocking are the U.S. Fish and Wildlife Service, the Bureau of Reclamation, the Army Corp of Engineers, and various State owned lands and parks. Some topographical maps and a little bit of time browsing these agencies’ websites will go a long way in finding the perfect spots for wild camping. There are also endless books on the subject, which can be borrowed for free from your local library. Now let’s be honest, in most cases, you have to pass through cities and towns on your way to your wilderness destinations, so why not take advantage of boondocking urban style also known as parking lot surfing. Often with a simple phone call to a Wal-Mart, Outdoors store, or truck stop manager you can obtain permission to park overnight. The same goes for calling the non-emergency number for local law enforcement agencies such as the Sheriff’s office or the Highway Patrol post to get permission to stop overnight at a rest area along the highway. Last but not least, for the most outgoing of travelers asking permission to boondock from a farmer or rancher can not only lead to a free campsite, but also to the possibility of new friends and perhaps even a new perspective on a different and unique segment of the population. 2. Is it legal? Is It Responsible? There are really two issues here, one legality and two responsibility. As for the first question, is it legal, the answer is that if you stay in properly designated areas or areas that you are given express permission to stay in, then overwhelmingly the answer is yes it is legal and in fact even encouraged. As for the second issue, the one referred to as responsibility; I feel it is important to remind people of the importance of leaving wild areas in the same or better condition than when you found them. You are not only a savvy traveler, but you are also and most importantly a steward of the land, a guardian of nature, and the protector of the ultimate gift to pass on to the next explorer, in fact, the next generation of explorers. I can’t stress this enough, we live in a fragile world, and we must cherish and look after it, so all those of us with like minds can leave behind the madness of daily life and cleanse our souls with fresh air and a beautiful view. Boondocking is one of the best opportunities to do this with a sense of freedom not afforded to other forms of travel. 3. Tips for living well while living off the grid! Off the grid or off the cord as the jargon goes means that you will be camping wild. This means no electricity hookups, no running water, and no sewer hookups. For those of you with a tent, that might not mean much to you. You’re probably used to finding a nice spot behind a tree to do your business and packing with you whatever supplies you need to live as well as possible. For those of us who are calling a recreational vehicle home there is a little more to consider, but for the most part, it’s all positive. No electricity means buying a quiet generator or harnessing that most spectacular of heavenly bodies…..the Sun. Yes that’s right, solar power has become both viable and affordable and with a little effort and research, you can affordably power such luxurious items as fans, space heaters, and all of those electronic devices that you swore you wouldn’t be using while you were embracing nature but know you will. After all, what good is a view of a mountainside waterfall or an idyllic trout-filled brook, if you can’t snap a digital photo of it and then share it with the masses via Instagram, Facebook, and Twitter? So look into setting up your RV with a top notch solar set up or even just a portable solar panel unit. Small wind turbine power generators are becoming more affordable as well, and both will make you feel like you are that steward of the environment that I mentioned earlier. I promise it will not only save you money and make your wild camping experience more comfortable, but it will also improve your wilderness guardian self-esteem. Don’t stop there though, why not make your RV more energy efficient with the use of LED lighting and energy star appliances! Finally just because you will be off the grid enjoying the possibility of seeing wild animals doesn’t mean you have to smell like one. Since you are setting out on this journey, I am going to assume that you are environmentally conscious and resource aware and that you understand that water is a luxury not to be misused. That doesn’t mean you have to stock up on incense and wet naps you swiped from a KFC, it just means you have to use some ingenuity. Installing low-flow shower heads, faucets, and aerators will pay dividends on the investment over and over again while allowing you to keep clean and get close to the ones you love. As well solar showers can save energy and double as a dishwasher and outside cleanup device. 4. Well, what are you waiting for? Okay, Buckaroos it’s time to get this show on the road. There are mountains to climb, rivers to kayak, fish to catch, and memories to be made. So use this information and get on to making good times happen and remember it’s always about the journey and never about the destination.